The capacity of a plant to carry out photochemistry is limited and will depend upon a range of factors including stresses caused by environmental conditions. Absorbed light energy in excess of that used for photochemistry must be effectively dissipated by non-photochemical processes. Such processes include the emission of heat and re-emission of small but diagnostically significant amounts of the absorbed radiation as longer wavelength red/far-red light energy. This re-emission of light is termed chlorophyll fluorescence. Although chlorophyll fluorescence emission from whole leaf systems is too weak to be viewed with the naked eye, it can be observed from illuminated extracts of a chlorophyll solution. Peak chlorophyll fluorescence occurs in the red region of the spectrum (685 nm) and extends into the infra-red region to around 800 nm. Each of these processes operate in direct competition for a finite pool of absorbed energy, any change in energy utilisation by one process produces a complementary change in the others. This fact enables chlorophyll fluorescence to be used as a rapid and reliable non-invasive probe of photochemistry. 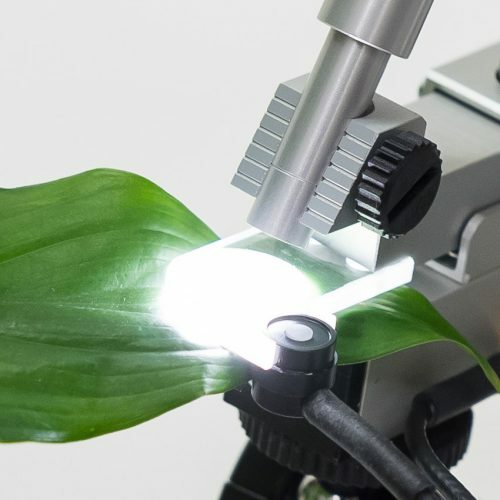 Specialist equipment is required for the analysis of the chlorophyll fluorescence signature. A Chlorophyll Fluorimeter (or fluorometer) is designed specifically to detect the chlorophyll fluorescence emission from a sample. There are several different types of chlorophyll fluorimeter available. 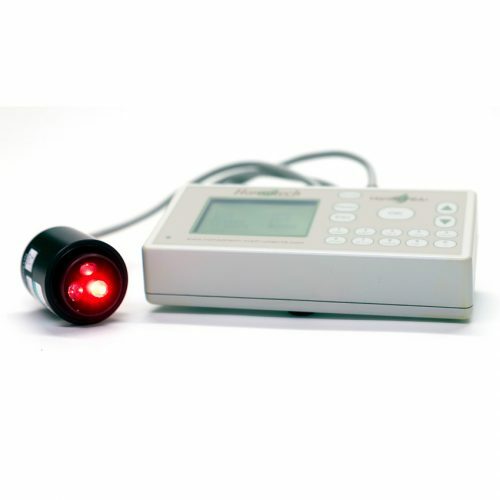 Please click on the links above for an explanation of each of the chlorophyll fluorescence measurement techniques we offer.